There’s nothing like a walk in the woods. It opens your eyes to the simple perfection of nature. Essex county artisan Jessie Hirt loves trees. One day he hopes to live in the woods. Take a look at some of his clever creations using fallen trees and reclaimed lumber. The Ipod docking station. Melding nature and technology. Love it. 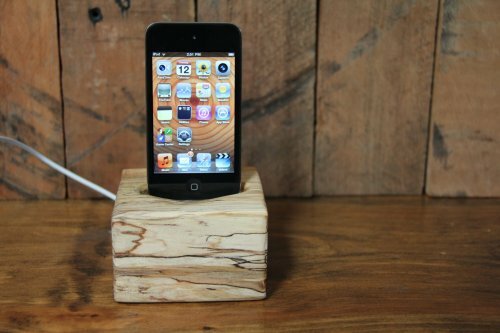 Jessie’s company Woodlot creates everyday things you can use in your home from jewellery, toys to home accents. He uses natural finishes like tung oil and beeswax polish. It’s amazing to see what he can do with scraps of wood. 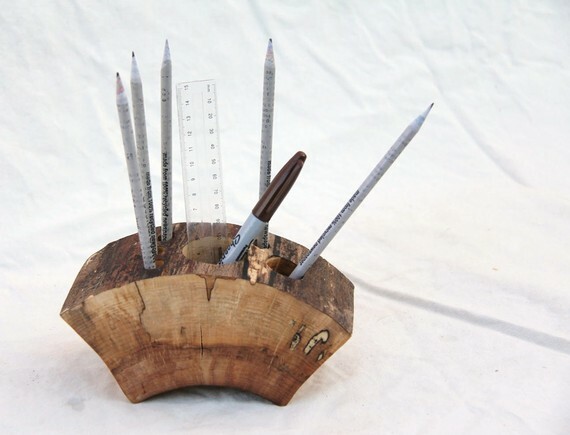 The firewood desk organizer is made from large chunks of firewood. It would be perfect on an industrial desk. 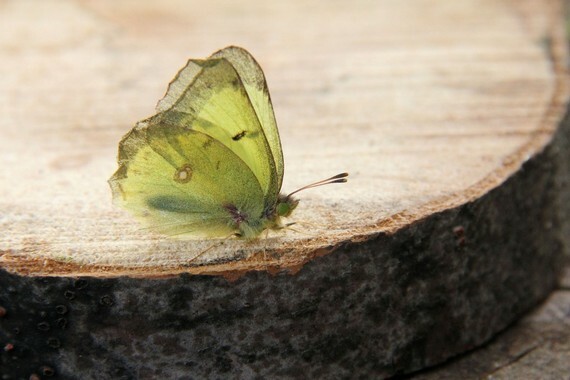 The sulpher butterfly became the company logo after it landed on a slice of spalled beech. 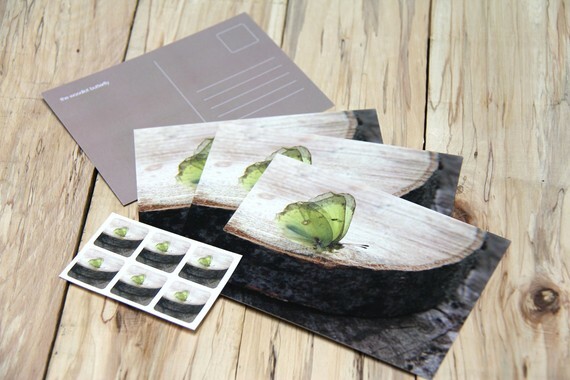 If you think it’s good enough to frame, order a set of postcards. 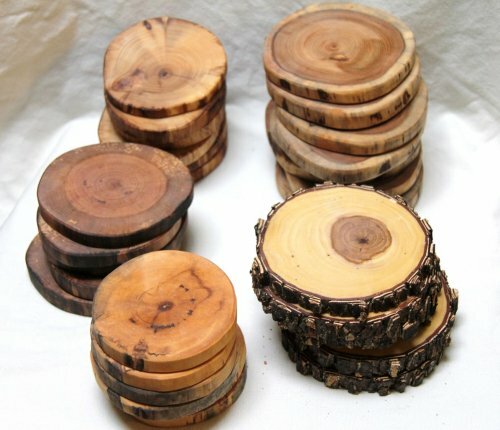 Rustic branch slice coasters are cut, baked, sanded and sealed with natural tung oil. 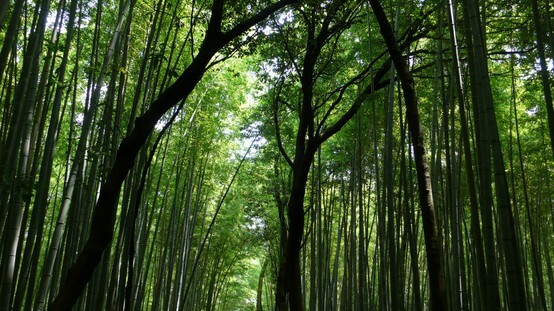 Woods include elm, maple, cedar, yellow birch and cherry – all from fallen tree branches. 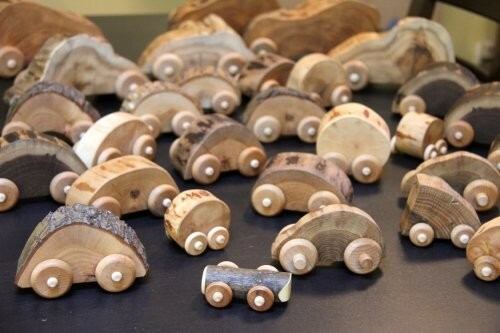 Each toy car is unique – a bit like the trees we find in the woods. These wood buttons come in all shapes and sizes. 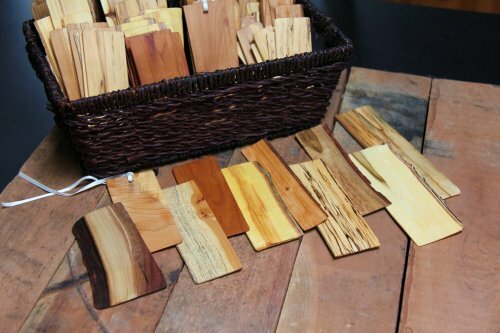 They’re all made from reclaimed wood and are cut, drilled, sanded and oven dried – sealed with tung oil. What can you use them for? Well, Jessie suggests they work well on pillows, sweaters, journals or as closures on purses or bags. I think they’d be incredible on linen pillows. 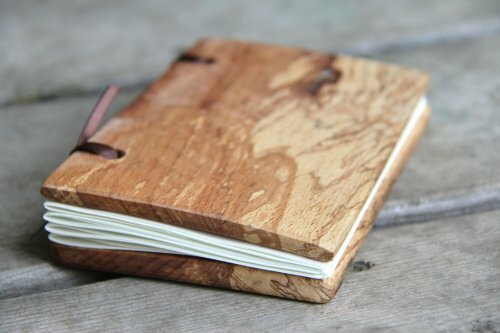 This reclaimed wood journal has 40 blank pages of reclaimed paper. 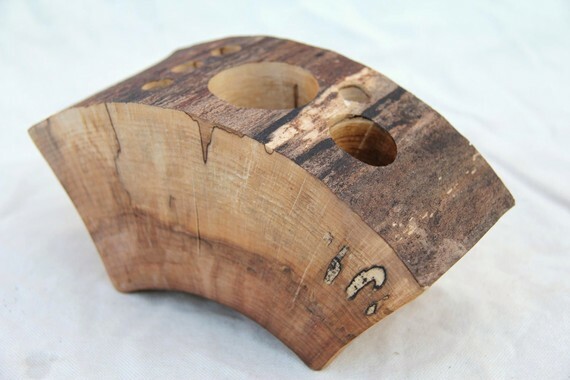 If you want to learn more about Woodlot, check out the company website and etsy shop here.